Horrible hippos hunt huge hairy hamsters in Hobart. 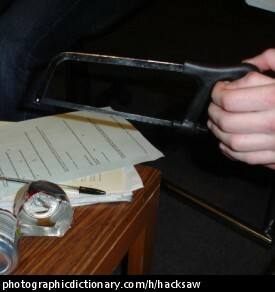 A hacksaw is a kind of saw typically used for cutting metal. It has a fine blade. 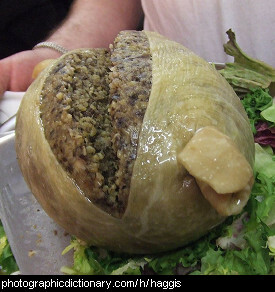 Haggis is a traditional Scottish pudding. It is made from minced sheep's heart, liver and lungs, mixed with diced onion, oatmeal, fat and spices. The whole lot is put into a sheep's stomach and simmered for around three hours. It tastes a lot better than it sounds. Hail happens during very cold storms. Hailstones are lumps of ice that fall from the clouds. 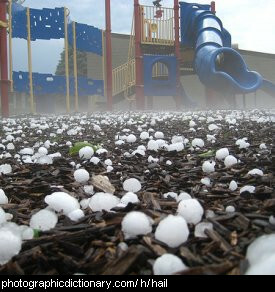 Hailstones can be quite big and can do a lot of damage to things they hit. Hair is something that grows on people's heads. It is also found on the rest of your body, but it is very very fine and can be hard to see (depending on the person!). The hair that grows on animals like cats and dogs is actually called fur, and the hair on sheep is called wool. The hairy stuff on even stranger things like spiders and some plants isn't hair either, just something that can look like hair and helps to protect whatever it is growing on. Hair on your face is called a beard or moustache. 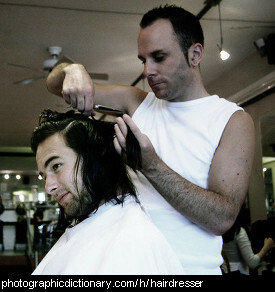 A hairdresser is someone who cuts, styles and colors your hair. 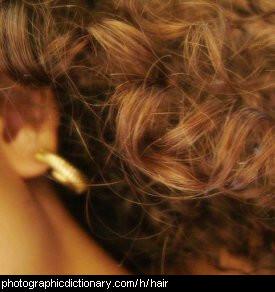 Something or someone is hairy if it has a lot of hair. 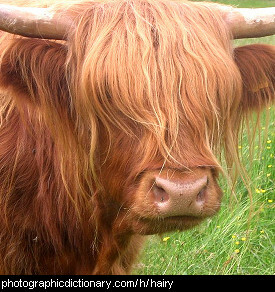 See also hirsute. 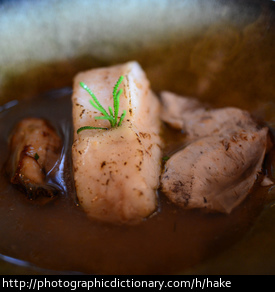 Hake is a fish that is similar in taste and texture to cod. 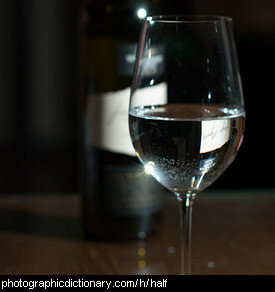 This glass of water is half-full (some people would say half-empty). If you took two half-glasses of water and poured them together, you would get a full glass. A half is what you get when you cut something into two equal sized pieces. 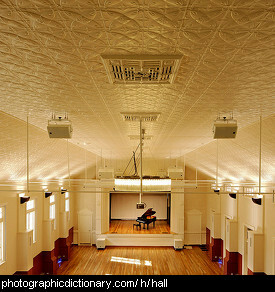 A hall is a large room, usually used for a group of people to get together. A hall might also mean a hallway or the entry foyer of a building. Halloween is a celebration that takes place on October 31st. 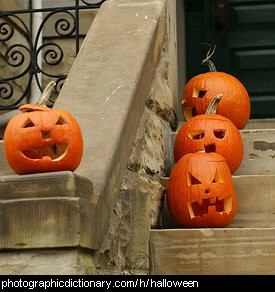 On Halloween, children go trick-or-treating, collecting sweets and candy around their neighbourhood. Both adults and children like to dress up in costumes of witches and ghosts, and people also carve Jack-o-lanterns out of pumpkins for Halloween.